The other day I helped a user on the Oracle APEX discussion forum with a question which led to an interesting question. 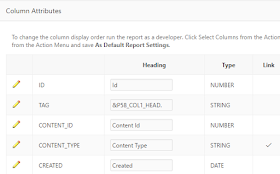 The user was using substitution variables for their column headers in an Interactive Report(IR). Here's a quick example if you'd like to try it out yourself. 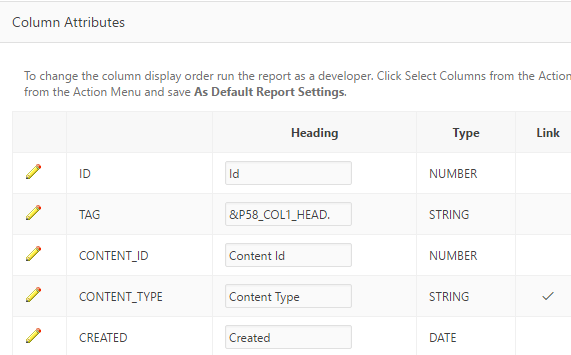 Everything appears fine until you click on the column header and try to perform any try of built-in IR action such as sorting or filtering. 4. Click on a sort icon and the header disappears. After doing a quick search, I couldn't really find anything on this topic. I thought about it for a bit and decided that it was probably a session state issue. 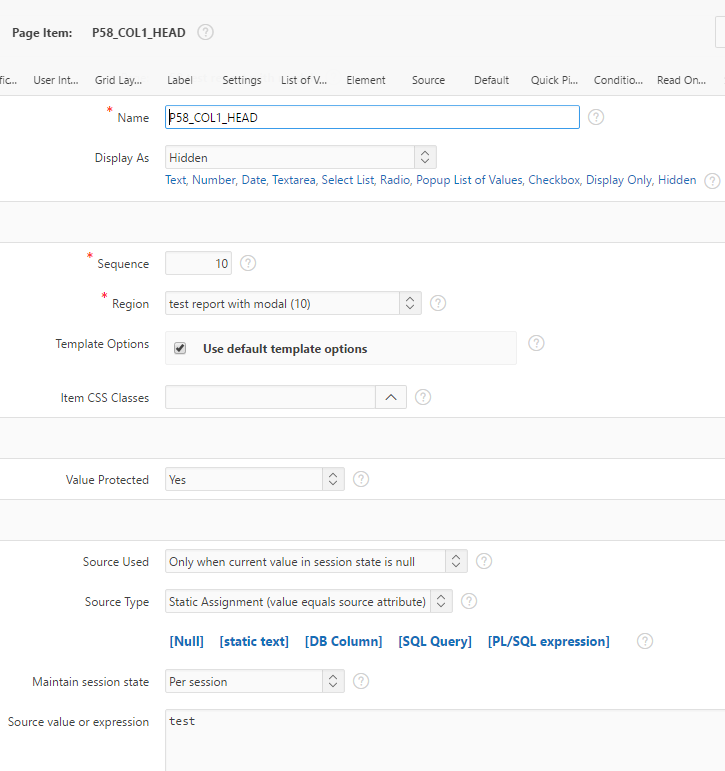 Luckily since IR regions do AJAX requests they allow you to specify page items to submit to session on refresh. 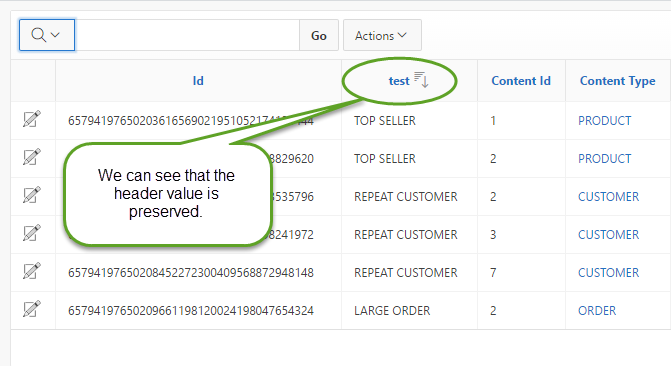 If you add your hidden item's name to the "Page Items to Submit" attribute, the header no longer disappears. Why does the header value appear when the page first loads and not when the region is refreshed? This is a topic that I stumbled upon while trying to create a session state demo. 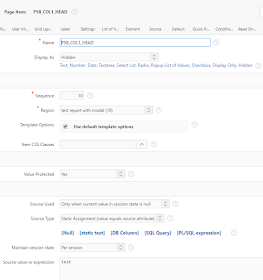 In my demo application I use an APEX view called apex_application_page_items to fetch the current values of page items on the current page. Let's add an IR region querying this view to further explore this topic. We can see that the view is reporting that our hidden item's value is in session state. However, if you click on the "Go" button of your session state report, you'll see that your hidden page item's value really is not saved in session state. So what's going on? I can't tell you exactly why because I'm just theorizing, but maybe someone from the development team can chime in on the topic. However, this is what I think. When a page loads you have access to the value of page items for various things like your queries, default values, etc... 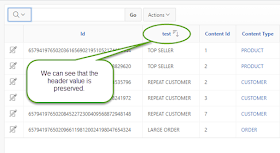 In our case, we can set the value of our column heading using the value of a page item. 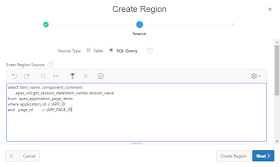 However, when a page is done loading the default values, static values, and the values used from an automatic row fetch process(ARF) are not set in session state. So how are they available to our components on page load? I think that during the page lifecycle of an initial page load, these values are actually set in session state before the page components are loaded, then reset when the page is finally done loading. 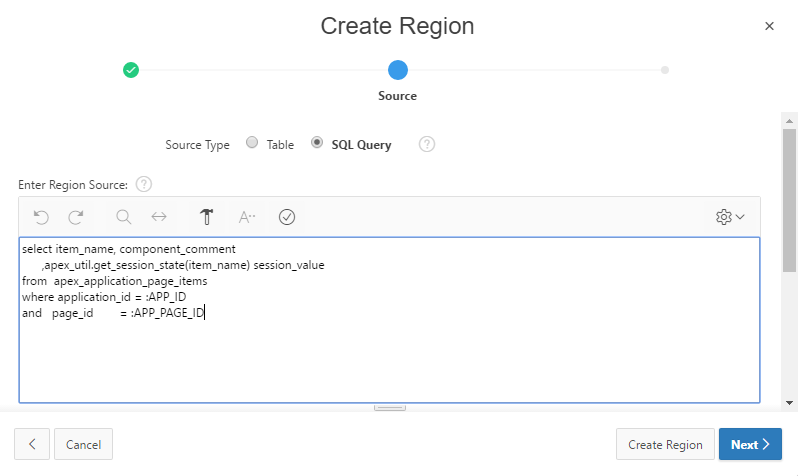 That's why our region reporting page item values from the apex_application_page_items view displays values for page items in session state, but when refreshed, it shows that the same items have no value in session state. Thanks for the link. It's a nice explanation for what I was trying to describe.